Hello guys, today we will share with you some tips to keep your skin clean and make it fairer/how to get fair skin. The thing to remember here is that no medicine or natural remedy will change your skin color in just 1 day. It must be used for at least 2 or 3 months continuously. Only then you will get benefit. Always do this simple test before applying anything in your skin. These things we should use three times a week continuously for 3 months to get good results. The most commonly used substance to whiten the skin is LACTIC ACID. Which is a very good ALPHA HYDROXY ACID and is found in considerable quantities in sour yogurt. Make a mask of sour yogurt and keep it in the face for 20 to 25 minutes. You should do this for 3 times in every week and continue for 2 to 3 months. By this your skin will become clear and fair. The second is GLYCOLIC ACID, it is also an ALPHA HYDROXY ACID and is used to make the skin fair. A chemical present in green-mulberry and pear named ARBUTIN which makes skin whiter. So you can apply this fruit juice in your skin. Vitamin C is a very good antioxidant that is very effective in making the skin white. You can get Vitamin-C cream on the chemist’s shop near you. Vitamin C is also found in good quantities in lemon. Many people apply direct lemon juice on their skin. You should know that in lemon juice an ACID present named CITRIC ACID, if there is any infection in your skin or the skin is weak, then the acid found in lemon can burn your skin. Therefore lemon juice should be used on directly only on Healthy Skin. Vitamin B3 is used to whiten the skin, to treat the acne, to soften the skin and to reduce wrinkles. You can write your tablet or cream or gel with your doctor. HYDROQUINONE is another chemical that is used to lighten the color of the skin. But by using it more, it kills melanocytes(skin color making cells) forever. From which skin slowly starts to be replaced by white spots. HYDROQUINONE is found in most of the fairness creams which available in the market. If any any one uses those creams for very long time then his skin will become dry and white spots could also be seen in his/her skin for forever That’s why we do not recommend to use fairness creams. To keep your skin soft and naturally healthy, you have to reduce the use of soap. Our skin forms a natural oil to keeps it healthy. When we wash our skin with soap, the chemicals present within it washes the natural oil so our skin becomes dry. 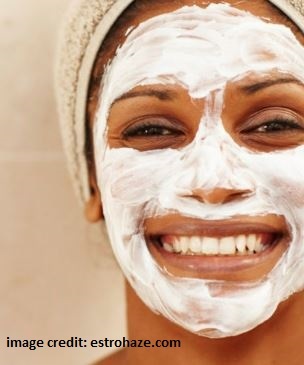 Then we have to use plenty of cream, moisturizers and lotions to soften the skin. Many times the fragrance, color, or chemicals found in these things also make us allergic. Therefore, the use of soap should be minimized on the face and on the body. It is good to wash with lukewarm water or warm water. After this, coconut oil or olive oil should be applied to keep the skin soft. If you apply coconut and olive oil regularly on your skin once after taking bath and before sleep your skin will always remain soft and beautiful. The things I told you are used in the cleansing creams, lotions, tablets, etc. If you want to use these things in a natural way, then you should use only by using a skin test. Or you can also write your cream, gel, lotion and tablet prescription with your doctor. Friends, hope you have liked this article, If there are any questions on it, then you must put them in the comment box, I will try to answer you.